December 21, 2012 December 21, 2012 / Julie Brook, Esq. There is no ideal way to handle new estate planning engagements, and it’s important for an attorney to develop his or her own procedure. But there are common procedures taken by many experienced attorneys from which to learn. 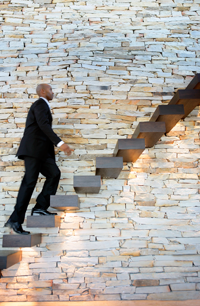 The first 5 steps in 10 Steps for Developing and Implementing an Estate Plan, Part I set the stage for an estate plan; these final steps take you through the process of putting the plan into place. Step 6: Typical Documents. Once you have enough information and have formulated the estate plan, you’re ready to prepare the plan documents. The typical estate plan centers on a will or a revocable trust instrument that contains the basic dispositive provisions of the client’s estate plan. The instrument should name the client’s desired fiduciaries and may set out investment directives, make outright bequests, exercise powers of appointment, and establish ongoing trusts that may continue after the client’s death. If a goal of the plan is to minimize transfer taxes, the will or trust instrument also should contain certain tax-saving or tax-deferral provisions. In addition, your client may be well served by an advance health care directive and power of attorney for financial management and personal care decisions. Make sure to review with the client all beneficiary designations for retirement plans, life insurance, and pay-on-death accounts. delay, i.e., making sure that information is current if there has been a delay in preparing the documents. Step 8: Executing Documents. Make sure to have an established office procedure for executing documents. You may require that documents be signed in your office, so you can more easily make any last-minute changes and supervise the necessary testamentary formalities, particularly with respect to the client’s will. If documents are sent to the client to be signed, include written instructions on how they should be executed. The original, executed instruments should be copied, bound (if desired), and put into a safe storage facility. Title to assets and beneficiary designations for life insurance policies, retirement plan benefits, and pay-on-death accounts should be changed, if necessary. If a revocable trust has been created, title to all of the appropriate assets should be transferred to the trust; if done by the client, provide adequate instructions. If an irrevocable trust has been created, it may be necessary to obtain a taxpayer identification number for the trust and make sure that any necessary appraisals of transferred property values are obtained and fiduciary income and gift tax returns are properly filed. If any business entities have been created, or interests in them transferred, the entity’s governing documents and share register should be drafted or amended to reflect the transactions and appropriate documents should be filed with government agencies. If California real property is transferred or title is changed for any reason, deeds must be recorded and real property preliminary change-in-ownership reports and parent/child property tax exemption forms (if applicable) must be filed with the county recorder or assessor. If Crummey trusts are created, power-of-withdrawal letters should be sent to trust beneficiaries and acknowledged by them or their representatives. Step 10: Final Communication to Client. Communicate with the client once more in writing after you’ve completed implementation of the plan. This final communication should include directions about safekeeping of the original documents, instructions on title transfers, recommendations for future review, and documentation of disengagement. 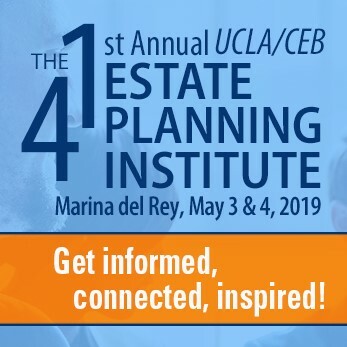 Each of these steps is explained in detail, along with handy sample documents, in CEB’s California Estate Planning, chap 1. CEB also has many CLE programs on estate planning designed to help in various aspects of development and implementing an estate plan. In addition, don’t be afraid to choose your executor outside your family. As what a probate lawyer new york would suggest, as the owner of the Will, you must realize that the most deserving person for your estate is the one that can take care of your properties.